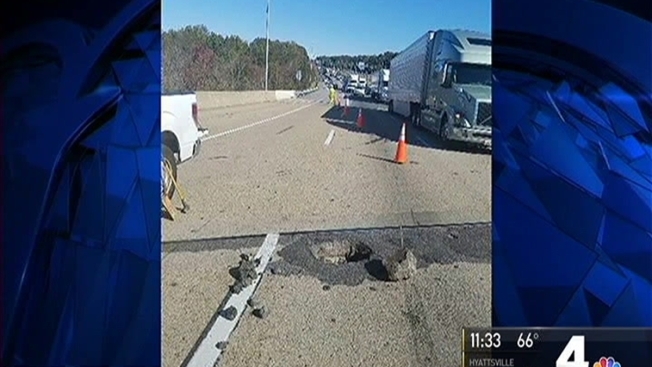 Drivers should expect major traffic delays on Interstate 95 as the Virginia Department of Transportation (VDOT) makes repairs to a bridge. Three areas of a crumbling bridge over Neabsco Creek, just south of Potomac Mills Mall, need extensive repairs, WTOP-FM reported. Two southbound lanes of the four-lane bridge will be closed from 9 p.m. Saturday, April 29, through 6 a.m. Monday, May 1, and again from 10 p.m. Friday, May 5, through 6 a.m. Monday, May 8. VDOT has released a map of potential alternative routes. VDOT Senior Structural Bridge Engineer Brian Morrison said a hole opened up in the bridge deck last fall, prompting a temporary repair. This project will do more extensive repair on that area and other areas of the bridge.